The hardworking staff never cribs its quotidian quotes from the New York Times, but for once we’ll make an exception. LAWRENCEBURG, Ky. — Alcohol may not be single-handedly saving state and local budgets from the red, but it is certainly helping. Consider Kentucky. Coal mines in parts of the state are struggling to stay open, but here among the gently rolling hills of horse country, bourbon is booming. At the Wild Turkey plant, a new bourbon distillery is rising, the first built from the ground up here since Prohibition. 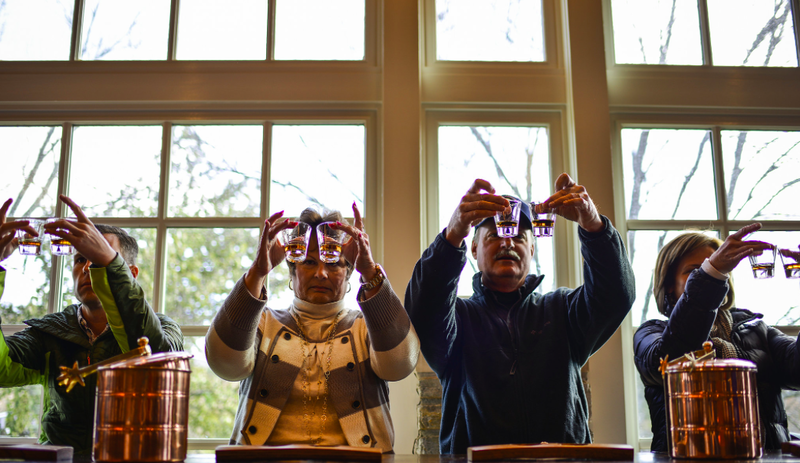 Visits to the company’s tasting room, where guests can sip bourbon and gaze into a gorgeous valley, have doubled in the past few years. 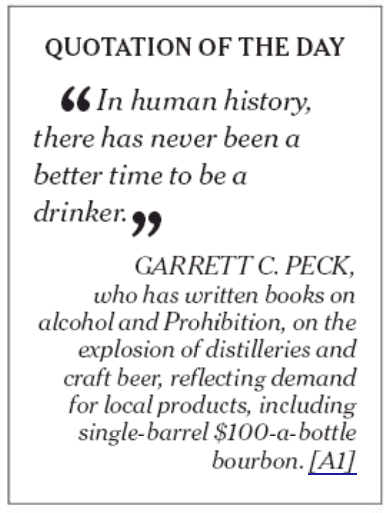 Thus, Garrett C. Peck’s quote above. This entry was posted in Uncategorized and tagged Anderson County, Brian Stivers, Garrett C. Peck, Kentucky Bourbon, New York Times, Wild Turkey. Bookmark the permalink. He has written on “the explosion of distilleries”?–not sure that’s the phrasing I would use in this situation, frankly…could easily be misunderstood!